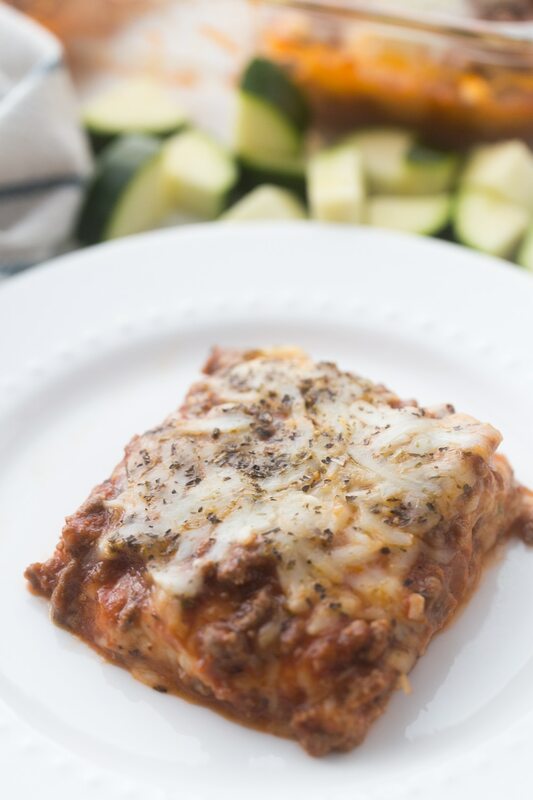 This Keto Zucchini Lasagna recipe is the perfect way to enjoy that lasagna taste without the noodles, which add too many carbs for those of us following a keto lifestyle! It is simple to make as well as delicious, and healthy! I’m not gonna lie. There are times at the beginning of my keto lifestyle change that I still craved noodles. It’s understandable, right? 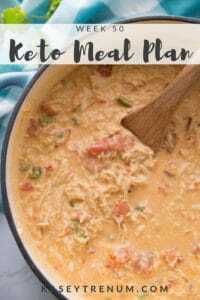 But, once I understood how much better I felt when I didn’t eat food items like that, I knew that the keto lifestyle was the perfect choice for my family and me. Luckily, this Zucchini Lasagna recipe gives me the taste of lasagna that I crave but keeps me on track of my healthy eating. One of the biggest reasons that I love this recipe is that it’s super simple. Isn’t that one of the biggest hassles of actually making lasagna? It seems to take a long time and is quite a labor-intensive recipe! 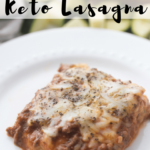 Luckily, this Keto Zucchini Lasagna recipe is the opposite of that and requires little time and effort on your part! Any time that I can create a recipe that is truly packed with flavor, I’m 100% down! 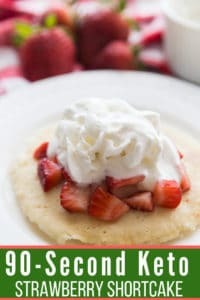 Plus, my kiddos have given this recipe two thumbs up time and time again! 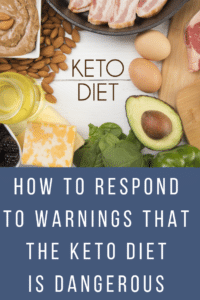 One of the great parts about living the Keto lifestyle? All the abundance of cheese that you can eat! 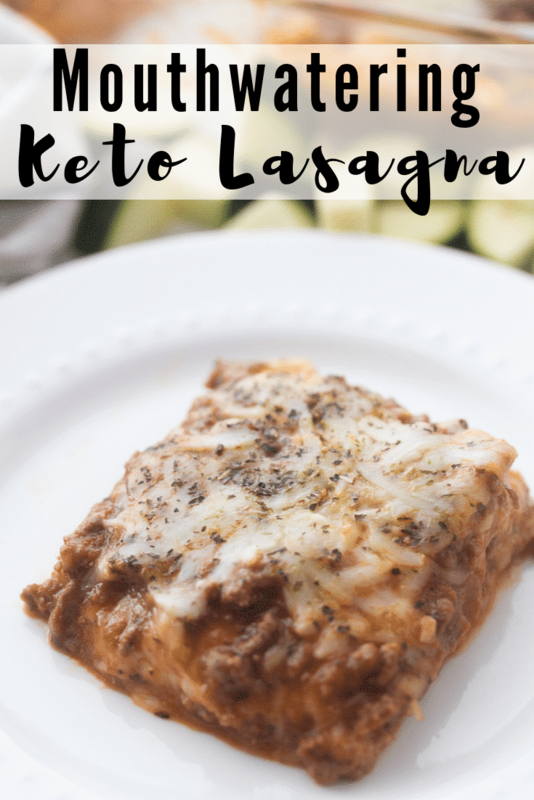 This keto zucchini lasagna recipe doesn’t cut out that fantastic option, and I love that there are three different types of cheeses included! 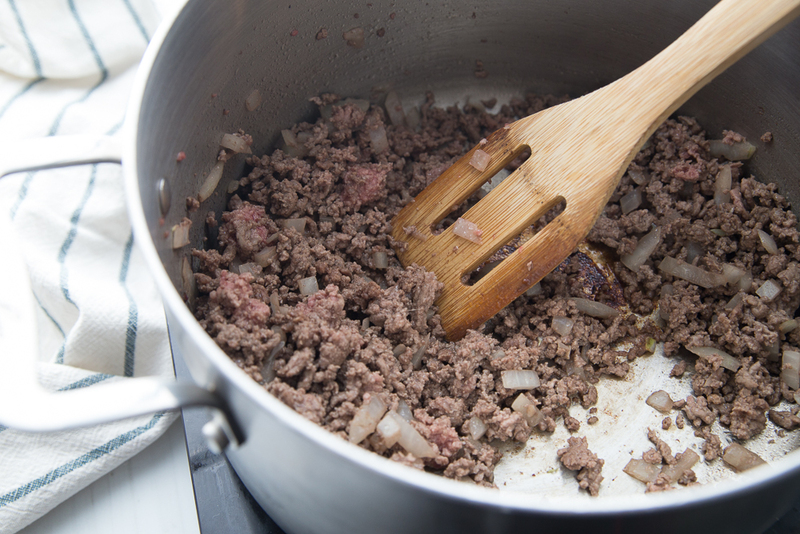 If you happen to keep ground beef already browned in the freezer like me, it will save you quite a bit of time. Doing so is one of the few meal prep steps that make my week easier explained in these 5 easy steps to meal prep. My two favorite low carb marinara sauces are Rao’s and Mezzetta’s. I’ve found both at Walmart. Make sure to chop up the zucchini is bite-size pieces, but still, keep them big enough to get that zucchini taste and flavor! While some people cut zucchini very thin vertically to mimic lasagna noodles, I find this method much quicker. 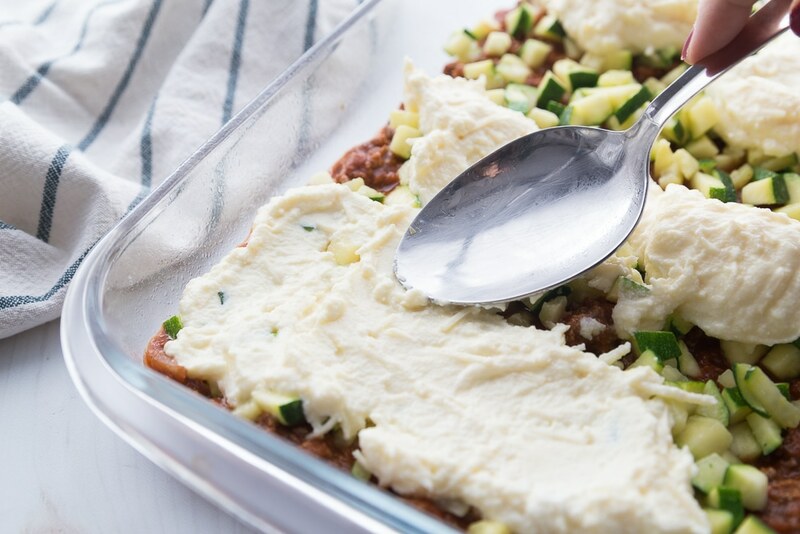 To make the ricotta mixture easier to spread, I spooned it out all over the low carb zucchini lasagna recipe. Use the back of a spoon to spread it out. Yum! 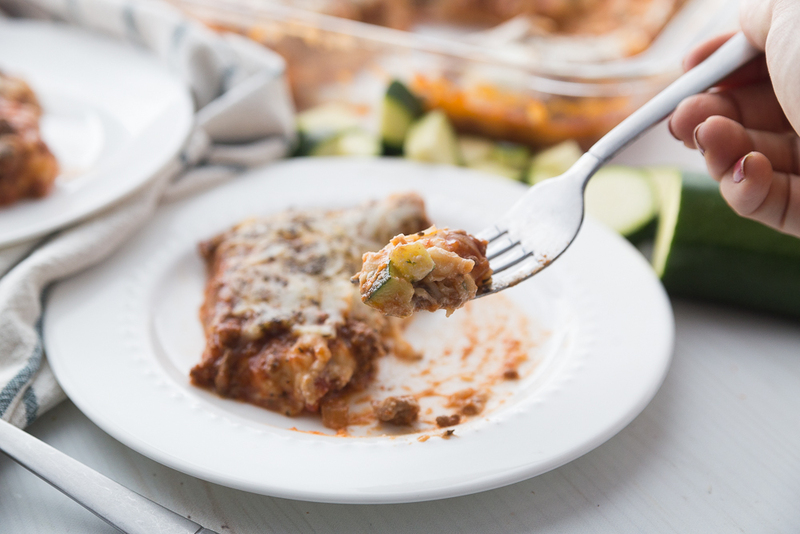 The cheesy goodness in this keto zucchini lasagna is on point! Be ready for this to be a big hit in your household! My family always asks for second helpings! 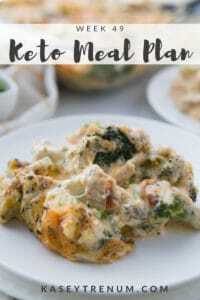 Don’t forget to pair up this delicious keto zucchini lasagna recipe with these Garlic Cheddar Biscuits or Cheesy Breadsticks! We also make a nice leafy garden salad. 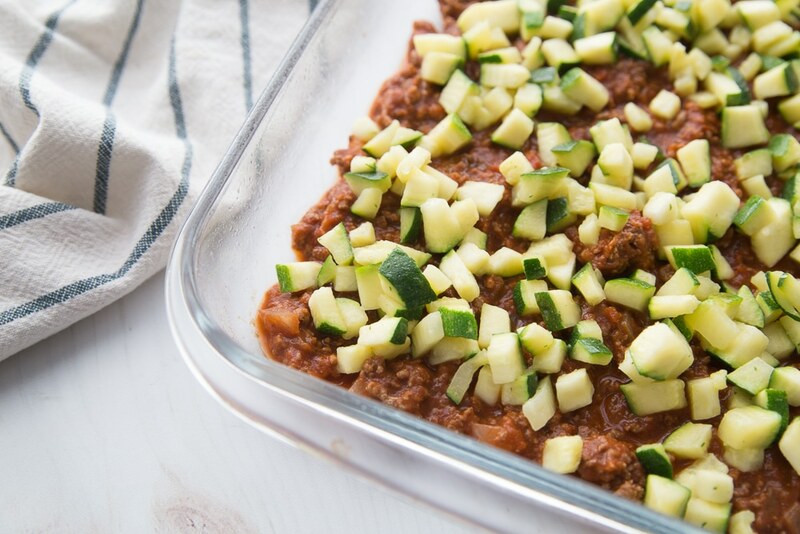 This Keto Zucchini Lasagna recipe may be kept fresh in the fridge for up to 4 days in an airtight container, or frozen for up to six months. 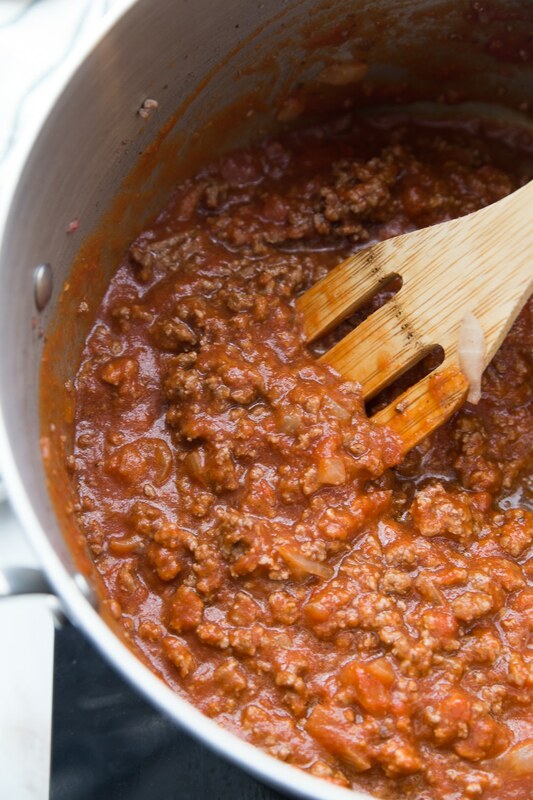 Add ground beef back to the skillet and dump in the jar of spaghetti sauce. Simmer on low/medium heat covered for 10 minutes. In a small bowl combine ricotta cheese, egg, and parmesan cheese. 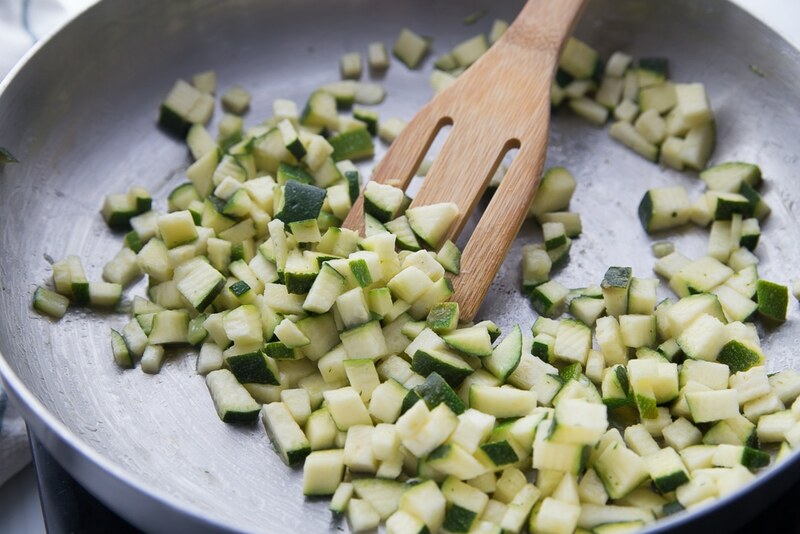 In a small skillet, melt butter and saute zucchini for 3-5 minutes. Remove from skillet when it is still crisp and sit on paper towels so that some of the moisture drains out. Cover the bottom of the casserole dish with 1/2 of the spaghetti sauce. Spoon the ricotta cheese mixture in dollops on top of the zucchini. (see the picture in the post above) then use the back of a spoon to spread it out. Repeat the spaghetti sauce then end with mozzarella cheese. Sprinkle 1 tablespoon of Italian Seasoning on top. Bake covered with aluminum foil for 25 minutes, then remove foil and bake for another 15 minutes. « Instant Pot DUO80 8Qt 7-in-1 …. UNDER $100! SOOOOO good! Made this for dinner tonight and it was a hit! I have one picky eater and one with a gluten allergy and they both devoured their plates without a peep. Definitely putting this in my rotation ? Looks delicious! What size jar of spaghetti sauce did you use? The one I used was 24.5 ounces. 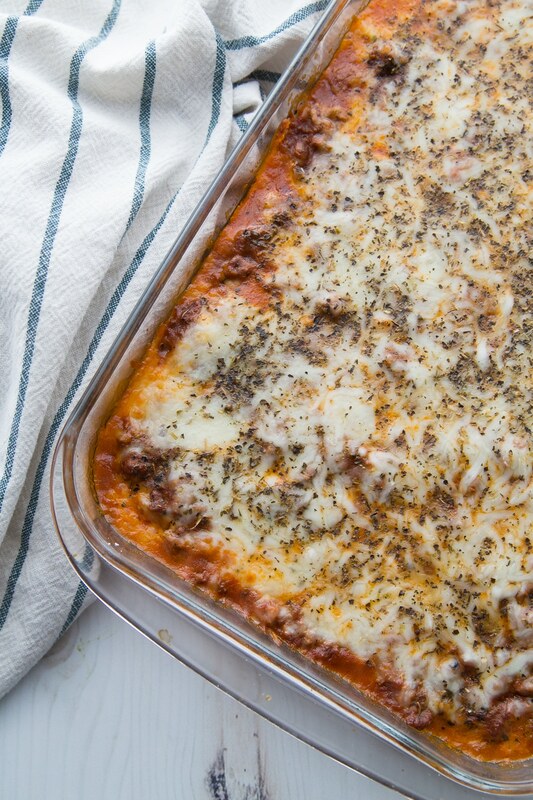 I made this lasagna recipe tonight & we could not stop eating it…my boyfriend said that it is better than lasagna made with noodles! Thank you for all your delicious recipes! Wow! That is quite a compliment. Thank you so much for taking the time to comment and tell me. I’m so glad you both loved it! This recipe is so good. My family loved it and they are so picky. Awesome! I’m so glad your family loved it! Can you substitute cottage cheese in place of ricotta? We’re not big ricotta fans at our house. I haven’t tried but it should be OK. Let me know how it turns out. Hmmm……I”m not sure. You have to let it set up when you take it out of the oven for a few minutes before serving for it to set up like lasagna. Im not a fan of ricotta cheese (i I’m now, im weird lol) is there any substitute? Not that I know of for lasagna. You could leave it out, but I’m not sure how it would taste. Kasey, I have used 4% small curd cottage cheese instead of ricotta cheese, add 1-2 beaten eggs along with 1/2 cup Parmesan cheese and 1/2 teaspoon of salt and have no problem with it. One would need to let it “rest” before cutting and serving. What size spaghetti sauce jar do you use, 16 oz or 25 oz? The one I use is 24.5oz. I made this last night for my family and we loved it! It was so delicious!!! Definitely making again. 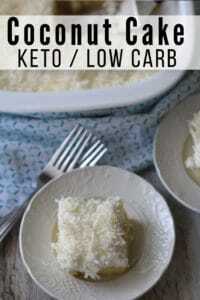 Thank you for sharing your low carb recipes!! I made this a couple of months ago and loved it. Then, I started going crazy thinking of it this week. I am making it tomorrow. Oh my goodness! This was fantastic! Thank you for the recipe to this one and the many others that I’ve made and love. I really appreciate it ? Thanks, Jen! Glad you are enjoyng!! Kasey, first time commenting on your recipes. I made the zucchini lasagna tonight and the cheddar garlic biscuits. On a scale of one to five, both recipes are a 5. All I can say is, Thank you! Awesome, Karen! Glad you liked them!! Good to know. I am wondering if my husband and son will eat it. Neither care for zucchini. Made this last night. I also added Italian sausage with the chop meat. Delicious !! Awesome! My hubs would love the Italian sausage too!! This was amazing! Just wondering if anyone made a side dish to go with. Hey Regina, we always go for a salad with this!! Do you think leftovers wold freeze well? I haven’t tried but I would think they would be fine.